Friday’s aren’t usually a blog posting day for me so that I can get ready for the radio show I do on Saturday morning, but there’s a current event issue that I felt that really needed to be addressed. In the interest of time I’m not going to sugar coat it, but just come right out and share my thoughts on this matter. Yes, gold is skyrocketing, and as a result a lot of folks are feeling even more panicked about the value of the dollar. They are rushing to purchase gold and silver in an effort to trade useless paper currency for an asset that they believe will have value regardless of what the dollar does. 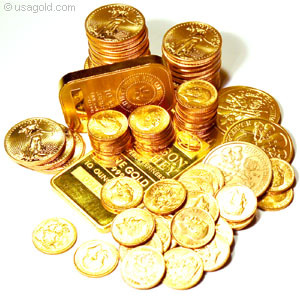 The fact of the matter is though, that the increase in the price of gold doesn’t indicate that it’s worth more money in comparison to the dollar, rather an ounce of gold requires more dollars to pay for it. But even more important for gold-buyers to understand is that the price of gold is very, very likely being manipulated as a means of corralling large amounts of U.S. currency from the economy in an effort to attempt to stabilize it. (The same manipulation occurs with inflation.) I don’t share this founded suspicion lightly. In fact, gold price manipulation has been carried out previously in our nation’s history. I’ll do my best to educate you on this fact, though it gets a bit more tricky to follow than an episode of “Lost” at times. In March of 1933, Roosevelt approved The Emergency Banking Act which removed the U.S. from the gold standard of backing U.S. currency with gold. This act also outlawed exports of gold except by the cronies…uh, I mean licensed agencies of the Treasury Department. The dollar would no longer be redeemable in gold* and anyone owning it was to turn in their gold to a Federal Reserve Bank at a paltry amount of $20.67 an ounce. First nail in the coffin of the U.S. economy. (As a little bit of side trivia, there was only one copy available of The Emergency Banking Act. It was presented during a special session at noon, read aloud, and then unanimously approved by four o’clock. The Senate began debate on it immediately thereafter and passed it by 7:30 p.m. with a 73 to 7 vote. Later that month Roosevelt combines all of the agencies involved in farm credit into one single agency. This is significant when you understand the next step of manipulation. Keep in mind that for most farmers, credit is the primary way to expand and in some cases function, and unfortunately farmers are even more beholden to such today. Next nail: In a bogus move of ostensibly trying to “reverse the Depression” the Administration further manipulated the price of gold, thus underpinning the value of the dollar as the result of a treasonous meeting held in the White House. FDR was a fan of Professors George Warren and Frank Pearson, who were known as “The Gold-Dust Twins.” These two helped to conspire with the Administration by proposing that the government could increase the prices of farm and other commodities while stimulating trade among the wealthy by purposefully driving up the value of remaining gold in the global economy through ongoing purchases in the open market. On October 19th, 1933 FDR, Secretary of Treasury Morgenthau, and a two other government “leaders” teamed up with the professors in a meeting at the White House for the sole purpose of deciding what price the government would pay for gold that day, with the intent of driving up the price. There were many who still possessed integrity in the Administration at that time who ended up resigning from their jobs as a result of this manipulation on the American people (James Warburg and Dean Acheson to name a couple). In spite of a few acts of such principled action by these few, the increasing prices were successful in continuing the depreciation of the U.S. dollar and pumping up the prices of commodities. Keep in mind that this is all that the majority of the American people were left with after surrendering their gold at $20.67 an ounce! But this deep wound to the economy was not sufficient. Roosevelt decided to take a more strong-armed approach in January of 1934 when he stopped the gold purchases and instituted the Gold Reserve Act. Most folks think of this time solely as Roosevelt stealing the gold belonging to Americans, but the primary purpose of this act was for him to be able to set the price of gold higher to a higher price of $35 an ounce This resulted in another heavy blow to the U.S. dollar while giving his wealthy cronies a guaranteed financial advantage over their possessions of gold. In fact, this official price of gold remained at this level until 1971. 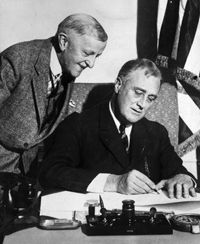 Keeping in line in better controlling all essential commodities, Roosevelt signed into law an authorization for the Farm Credit Administration to consolidate all credit programs for agriculture. Third nail: There was yet an additional effort to corral currency and control wealth in June of that same year with The Silver Purchase Act, which set the price of silver at nearly a third higher than the going market price; and was to stay in effect until the world markets reached $1.29 or the government’s holdings equaled one-third of it’s monetary gold reserves. This resulted in extreme inflation of prices, but a brief windfall for silver producers. You see, the manipulation of gold was critical in the U.S. because a lot of foreign allies had begun to base their money on the U.S. dollar, not gold, thus giving the U.S. enormous amounts of power and influence of the global economy. As an indicator of that vulnerability, look at how the Bank of England cannibalized their own financial security a few years earlier in September of 1930. The Bank of England withdrew a heavy amount of gold which compromised the banks “gold standard” of the ratio of gold reserves vs. the amount of credit extended. As a result, The Bank of England was able to manipulate having their cake and eating it too. They crippled the international strength of their own bank AND were then able to coerce Great Britain to conveniently abandon the gold standard—meaning that they got permission to completely ignore any reserve to debt ratio and instead focused heavily in U.S. currency possession. Today that heavy vulnerability is nearly all encompassing when you look at the relatively small percentage of non-U.S. based currency assets on the ledgers of many banks. Roosevelt once said that “nothing is an accident in the world of politics.” Ultimately, what I’m trying to point out to you is that gold rising in value should be viewed realistically. If the price of gold is being manipulated then YOU are being manipulated when you purchase or even sell it for cash. Today's astronomical price of gold is NOT an indicator that it is more valuable than U.S. currency because it is reflected in terms of U.S. currency. 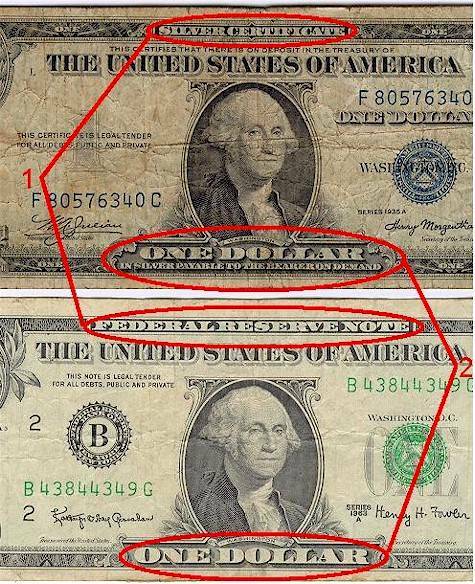 Rather its value IS INDEED being manipulated in order to reign in a chunk of the mounds of useless pieces of currency paper that have been printed in an effort to further manipulate the value of our currency. If you were to familiarize yourself with the political shenanigans of the Federal Reserve and the Administration during the Depression you would see some shockingly similar instances with regard to what we’ve got going on today. I wish that more of my friends and family members understood that Wall Street is no authority on value. It’s just a game they play with their government supported Monopoly money in which they’ve sucked in the entire world to play as well. The stumbling block for them is that they weren’t content to just play among themselves. They got way too greedy—even so much that they are NOT capable of bailing out of this problem no matter how much currency they print. Printing currency is about feeding foreign and bank relations, not benefitting the consumer. 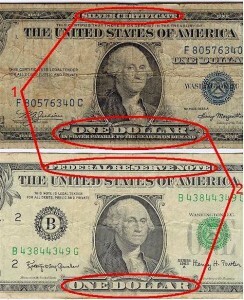 Just because the Federal Reserve prints more money doesn't mean you see more dollars in your paychecks, right? That’s the real problem in this circus. They have completely stewed the Goose the Lays the Golden Eggs with their manipulations of the past. They've stewed their pool of foreign purchasers, which is why they have been falling behind their quota every month for the last 18 months. To compound the problem they’ve created, they have played their manipulation game for so long and in so many different areas, they have cannibalized themselves; as such you will not find EITHER “asset” (hard or paper) capable of giving you what you need in tough times. Now is the time in which your Spiritual Preparedness comes into play. You can read my words and do a gut check on yourself and see if it rings true or not. If it does, may I suggest that you decide to take actions now in order to comfortably endure and even thrive in tougher times ahead? 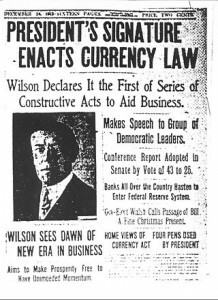 *On February 18th, 1935, the Supreme Court actually ruled this law as unconstitutional BUT they likewise ruled that the bondholders would have no right to sue for reimbursement. Charming, eh? Thanks for providing this clarity. The history you've provided helps with trying to influence family & friends to move forward in peaceful preparedness. Extremely well written and I agree completely ! I have sufficient stores of precious metals.I have difficulty explaining to my wife why gold and silver are no more valuable today than they were 2,000 or even 10,000 years ago but simply require more $$$ to buy them. 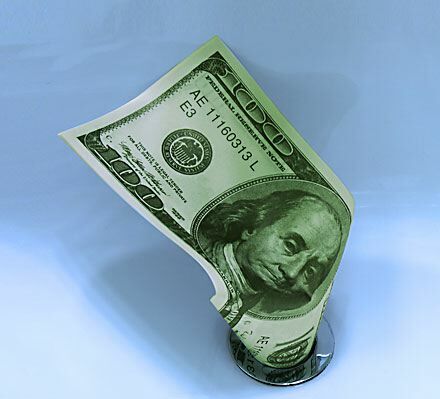 The dollar is worth less and will continue to drop until one day it will be totally worthless. For these reasons, I have included things we will need in the future in our preprations. For security reasons, I will not discuss what we have done but I have enough put back to take us threw very difficult times and for an extended time period. Please take the pleas to become more self-sufficient to heart. We have chickens, goats, ducks,geese, guineas, garden areas and plenty of compost, a 30X 60 ft professional greenhouse. Put that money into a good quality canner, wood stove, security measures,seed,livestock and other tnagilve things you will need in the future. Thank you so much. I hope that you have led many away from costly mistakes. You have a gift for making things so easy to understand. Thank you for helping us understand the history of this mess. Apparently the lessons of our political grandfathers shenanigans were never learned. The fact that the people consistently believe they are sending the best and brightest to represent them in governance astounds me. The penalty to disolve what miniscule amount of my retirement is left, is 75% of what is left. It wouldn't be enough to buy a month of groceries, let alone a tank of gas. I am chosing to put my future funds into those items that will help me sustain my life when it all goes South. I don't believe I would be half this far had I not found this avenue of well balanced and sane thought. Your sound education and grounded practices have given me the inspiration, strength, and foundation to make MAJOR changes in my lifestyle. They may manipulate, and have ruined what I built for my later years, but they can no longer make me continue to believe it will all be okay. My husband and I were JUST talking about this this morning. One of his co-workers was proudly letting everyone know that he had been collecting gold and silver since he was 14 years of age. He is now 50. First I must say I am impressed that he would do such a thing at that age rather than spend every teenage dime he earned, like my friends and I did, at that age. I have to tell you....I absolutely love the quote you gave by Heber C. Kimball. So true! I'm buying food, but I'm also investing in getting self sufficient. I just learned to raise & butcher rabbits. Now that's a long term investment! Another great article. Thank you Kellene for all the research and effort you put into your writing. 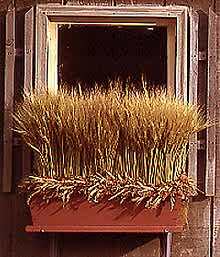 Great article...We are saving heirloom seeds. And getting self sufficient slowly but surley. It is hard to explain to people why we should be doing this. Many do not believe we will need to do anything. The real tricky part is who to tell. I would like my friends to prepare but they already think I'm making mountains out of molehills. Sometimes they even tell me I'm paranoid. I don't think I'm paranoid just because I can see whats happening. I don't want to give up on them but you can lead a horse to water but you can't make them drink. The best approach for me is to continue what I'm doing and hope they eventually see the light. If not.......... I am so grateful for all of your hard work and ability to put it out there for us to understand. Saturdays broadcast was awsome, a bit scarry but necessary. Who else would clue us in. Again thanks and thanks again. I think yesterday's earthquake was a wake up call for some at least in my family. My sister (in NY) is finally seeing the light and my daughter told her husband yesterday that she is going to start on a full first aid kit, bug out bags, and food storage and for once he didn't make fun of her (or me), YIPPEEE!!! I'm just happy that the wake up call wasn't worse but at least people can now envision "what ifs." The word is preparedness and by that, not waiting until the storm or whatever is actually bearing down on you. Last night the news was showing people running to the store to stock up on water, etc., for the hurricane now bearing down on the mid-Atlantic states. How nice to be able to stay out of that fray and concentrate on your family and home. Keep up the good work Kellene. Every day more people are waking up and you are a beacon of light to guide people in the trek towards being prepared. I'm so tickled to hear your news, Granny. May the Lord continue to be patient with us as He attempts to give us more wake-up calls and may hearts be opened to His warnings.